A legendary combination. 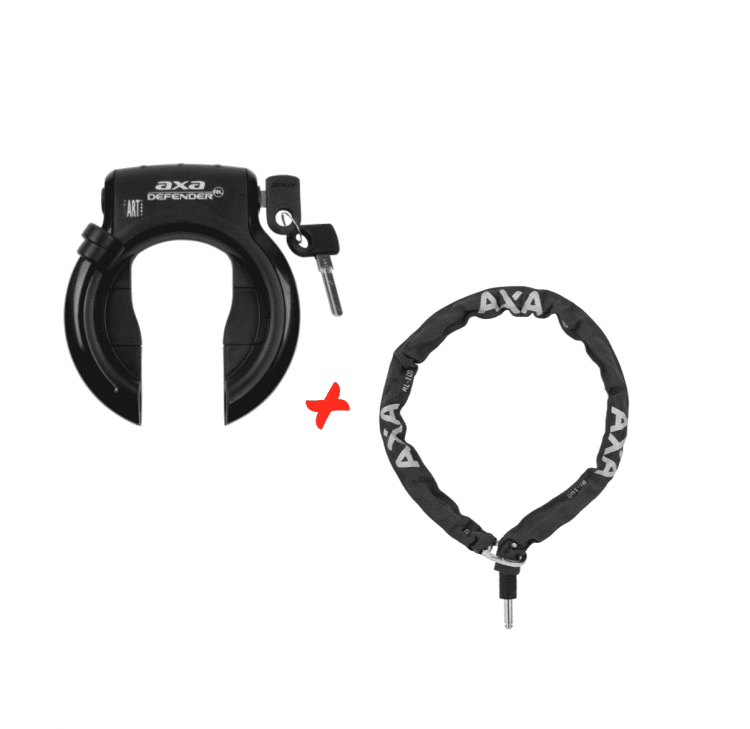 Use the Axa Defender Lock in combination with the AXA plug-in chain to safely lock your bike against an object and increase bike theft protection. The AXA Plug-in Chain used in combination with an AXA Defender makes your locking game a true nightmare of bike thief’s. A combination pretty much standard on all Dutch Bikes used around Amsterdam. It offers safe storage of your bike in combination with the option to attach your precious to an object, making a thief’s life. The RLC100 offers a hardened steel plug-in pin of 10 mm thick. The RLC100 locks your bike to a fixed object such as a street light or fence. Simply plug-in the chain into the Defender ring lock and lock them both together. It doesn’t get any easier! Grab both Defender and Plug-in Chain in a special saver combo pack.